LEGAL DISCLAIMER: The following is my personal opinion and observations and I am exercising my right to share them. People I have interacted with will remain nameless but I assure you they know who they are and I can attach a name to them. I am being careful as I do not trust the “powers that be” who might take action to silence me. To those South San Francisco residents who were unable to attend the second AGI/KASA Partners workshop January 29 addressing the configuration of the PUC site development, I would like to share my experience with you. To offer a little background, this sixty-two year resident literally left his “near death” bed to attend this meeting to speak truth to power in an effort to provide a check on our city government as it allows development to run wild in our city. I have been unsuccessfully trying to get the city to provide me with the public notification protocols they have been using with the many projects sprouting up around the city. I have also been trying to find out the PUC density formula that mandates minimums of compliance for the project. Nine months into this and nothing yet produced by the city. Late last year I called the city council com line and indicated I was prepared to utilize the California Freedom of Information Act to secure this information as I have a legal right to do. Within twenty-four hours I was contacted by a council member imploring me not to take this action and assuring me that the city attorney would be instructed to provide this information and I would be contacted within a couple of days. That was approximately six weeks ago and I have received no information. So much for the word of one council member and it raises the question, what is so damaging about this information that they can’t provide it? Let me speculate with regard to public notification, it is my understanding that the city must encourage public participation in these processes and adequate notification to facilitate that participation. To fail to do this might disqualify the legitimacy of any project approved by the city. Historically, I have learned of these projects from my barber, the local realtor and my neighbor. In fact, my neighbor and I took it upon ourselves to leaflet two hundred fifty houses about this project only to find one hundred percent of those neighbors we spoke to had absolutely no knowledge of the project. This was just a section of Buri Buri but I would venture a guess that lack of awareness of this project was widespread. Possibly more important than the public notification protocols is the PUC density formula for compliance for this land use. As I label myself a “minimalist,” I want this project to be predicated on minimum densities as these would be of least impact to our community. Armed with this information, the residents could compare the smallest complying project with the mega density project you can assume the developer will roll out. This information is as yet unavailable to me. Make no mistake, this is about money folks. Lots of it. I arrived thirty minutes early armed with important written questions I had hoped to share publicly in this forum. I approached the AGI/KASA team leader to alert him of my intentions and he generously sat down and had a private meeting with me for thirty minutes. I gave him a copy of my questions and he scrutinized them and told me that some of these questions could only be answered by city officials. He was correct. However, he readily acknowledged my written reminder that his company and his team were “guests in our house.” He later reaffirmed this to the attendees in his opening comments. I also informed him that the residents of SSF and his company are at “cross purposes.“ I told him he was there to make large profits and I was there to protect the quality of life in my community. He readily acknowledged this truth and didn’t offer any BS. Much appreciated. The only major concern arising from our interaction was the fact that he indicated he had no knowledge of the PUC density formula for compliance for this land use. I find this remarkable as this information is integral to how this project must be configured. The meeting was formatted much as the first workshop was. The four “work tables” did their pitches and I found myself transported back to college and Marketing 101. All positives, no negatives. And the usual mantra of HOUSING SHORTAGE, BUILD, BUILD, BUILD was emphasized. 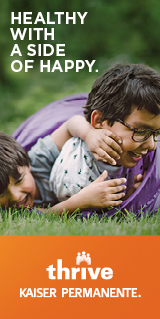 In my educated opinion this marketing ploy is a great way to sell life insurance but not a mega project that will negatively impact the quality of life in our community. I pride myself in having a healthy relationship with the truth and always exercise objectivity. I do not hold the developer at fault for doing exactly what I would expect them to do. This is a business proposition. While the majority of this segment of the meeting was the “same old, same old” I was extremely alarmed to learn that eight story buildings were back in the project. More on this later. We broke into the interactive workshop and I immediately went to the architecture table to converse with that AGI/KASA team member. I suggested that his concerns over the housing shortage might as easily be replaced by concerns over uncontrolled expansion of industry that have created this shortage. I suggested the radical concept of maybe discouraging this uncontrolled expansion of industry if the communities do not have the infrastructure to support it. This is a radical concept in that it would turn away dollars in consideration of quality of life concerns. We know what wins out in this battle. Rest assured should this economy implode, these industries will make a fast exodus and leave either a ghetto or ghost town behind. It’s business. Next I addressed the news that eight story buildings were back on the table. He said they were never off the table and attempted to convince me that my recollection might be flawed. I have to admit that as I age, my memory is not as good but I distinctly remember sitting at a table with this same individual and other concerned residents adamantly demanding a three story limit. I don’t doubt that the developer would like to ignore this fact and indeed might do just that with the blessing of city government as we are talking an exponential increase in profits. 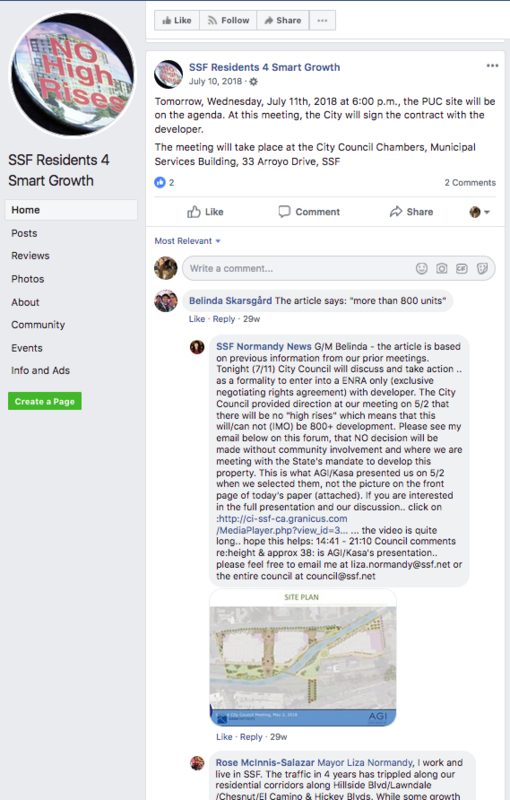 The fact is, if you consult the Everything South City coverage of this first workshop, you will see in print the residents demand for a three story limit. I will expect an apology the next time I talk to this individual. Now to the highlight of my evening. At this same table I again identified myself as a “minimalist” and referred to needing those all important PUC density formulas to ascertain just what the minimum complying project would look like. This would be a baseline for residents to compare to the mega project that I am sure will find it’s way to the table. At this time a Mr. Garbarino identified himself and interjected himself into our conversation. He identified himself and I told him I knew who he was. How could I forget him and his Oscar worthy performance when the city re-zoned the property south of Kaiser hospital to accept ten story buildings several years ago? 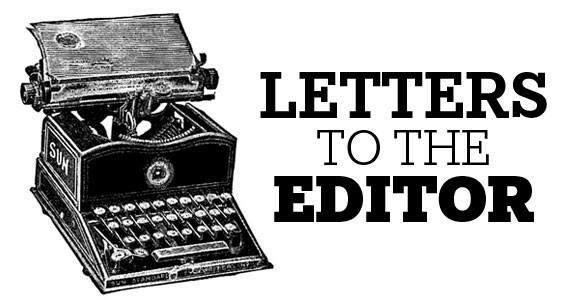 To the best of my recollection, four council members were ready to sign off on the re-zoning but Mr. Garbarino indicated he had traveled up and down the El Camino corridor and saw many four to five story buildings and he was not comfortable with anything higher. I find myself in agreement with him. Unfortunately, within ten minutes several city officials convinced him of the merits of the rezoning and in a kind of “now that you put it that way” he joined the unanimous decision to rezone. He was my councilman for all of ten minutes. Any questions? Consult the city’s video archives. At the parking/traffic table there was talk of parking permits, of little use if not enforced and as yet no parking requirement ratios have been established as the project is not finalized. We need to demand that parking is provided or our neighborhoods streets will be inundated with cars attached to this project. As the meeting closed, the most unsettling news of the night was brought to light. At the next workshop, they will have some more detailed plans of the configuration of the project. **Are they going ahead with eight story buildings over the objections of residents? **Are they ever going to show the public a PUC complying “minimalist” project so the public can determine if the additional amenities offered in a mega-project are worth the impact on the community? If, indeed, more detailed plans find their way to the next workshop, I feel this project is being “fast tracked” with limited regard for the residents wishes. As the meeting came to a close, and many city officials had become aware of my anger at the way this project is handled, I was approached by an individual seeking to mitigate the situation. I believe he was a department head in one of the development departments and I can’t recall his name as he forgot to give me his card but I gave him a copy of questions and concerns and invited him to distribute them to the city council. He also, wanted to know how he could make things right as he reveled in the fact the public was involved in configuring the project. I told him there was nothing he could do as the public’s involvement should have begun with the selection process for the developer/partner. To refresh everyone’s memory, the finalists were pared down to two and to my understanding there was an advocacy for a clear favorite. To be clear, my information is “second hand” and as a result it is pure speculation and conjecture pending investigation. For some reason, possibly the optics of limited public participation in the selection process, the city decided to bring back the other two competing developers and the public was able to meet with them. They were soon “kicked to the curb” again and the clear favorite would soon be declared the winner. And win they did, this is a potentially half billion dollar project and the winner was decided by five “political hobbyists” who I believe receive a five hundred fifty dollar monthly stipend. That’s a lot of responsibility for so little money. As I explained to several of the developer team members, while participation in this project’s configuration might seem inclusive, the reality is that none of the residents attending these workshops has a final say in the finalized project. None of us possess a vote on the matter. The developer might listen to us or ignore us as we are, as stated earlier, at “cross purposes.” His interest will always be to maximize the density of this project and the accompanying profits. This is not unexpected or inappropriate but in all probability is not in the best interest of this community. Ultimately, the developer and the city council in consultation with salaried city officials will decide the final configuration. In a perfect world, the residents desires would be heard loud and clear but I sense deafness will prevail. Again, in my opinion the project development process in the city of South San Francisco is deeply flawed. From the lack of public participation at inception to absence of power in actually determining the final project. If you want evidence of this travesty visit downtown South City. Being a good South City boy, I visited the iconic Giorgi Brothers to buy some furniture locally and as I dutifully paid my additional Measure W 0.5 percent sales tax that the city strategically saddled the residents with for not five, not ten, but thirty years in an off year election (these guys are good) I looked out to see yet another high rise condominium beginning to be constructed. To the right would be the canyon of condos on airport boulevard. I was never aware of these projects before they were well on their way to completion. Seems the city doesn’t need my input as they know what’s best for the city. The harsh reality is, the “powers that be” are well on their way to destroying this city. This begs the question, who do our city officials serve? The residents or the developers. PEOPLE: I URGE YOU TO GET INVOLVED BEFORE IT’S TOO LATE. CALL YOUR COUNCIL MEMBERS, CITY MANAGER’S OFFICE, DEVLOPMENT DEPARTMENT. LET THEM KNOW WHAT YOU THINK. COME TO THE NEXT WORKSHOP. I INTEND TO UTILIZE EVERY GOVERNMENT AGENCY RESOURCE AVAILABLE, BOTH STATE AND FEDERAL TO ATTEMPT TO GET SOME ANSWERS TO QUESTIONS THE CITY REFUSES TO ANSWER. GET INVOLVED, I CAN’T DO THIS ALL ON MY OWN. ** At that time Mayor Normandy stated at the May 2, 2018 Council Meeting, council provided direction that there will be no ‘high rises’ and in her opinion that this would not be 800 units. There has been some confusion as to what was actually stated at that time by the Mayor. No one citizen can right this wrong. The time is now. Your take might be correct but I am wagering that the State will stay back and not initiate something that will be interpreted as a power grab. It seems State Senator Scott Weiner has been involved in a couple of Senate bills that would have given the state authority to determine the density of any development within a half mile of a transit hub. They shelved it for fear it would look like they were stealing the right to self-governance from the local municipalities. I’ll wager they will never have the guts to actually implement this. We’ll see if my money stays in my pocket.